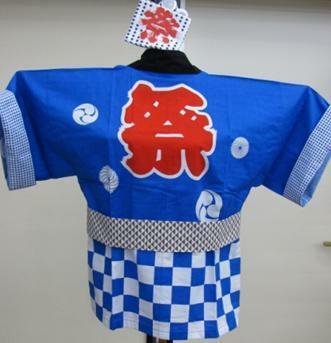 Curious How Traditional Japanese Clothing Works? Have Saito-san Explain All. Clothing shop "Beni-ya" in Onsen Town Togura-Kamiyamada offers a tutorial in "Wafuku" - traditional Japanese clothing. Try on a few items and get your picture taken at Beni-ya's traditional Japanese garden or their museum-like Japan Room. Many guests that stay at one of Nagano's many ryokans (traditional inns) wear a yukata robe for their first time. 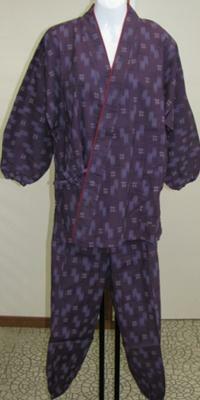 After feeling how comfortable a yukata is, many become curious about how traditional Japanese clothing ("Wafuku") works. There aren't any zippers or buttons -- it's a lot of taking this string here, pulling it through that hole there and tying it. From the 'fundoshi' loin cloth to the padded, quilted 'hanten' overcoat and split-toed "ninja socks" ('tabi'), Japan has a lot of traditional garments that are very foreign to Westerners. 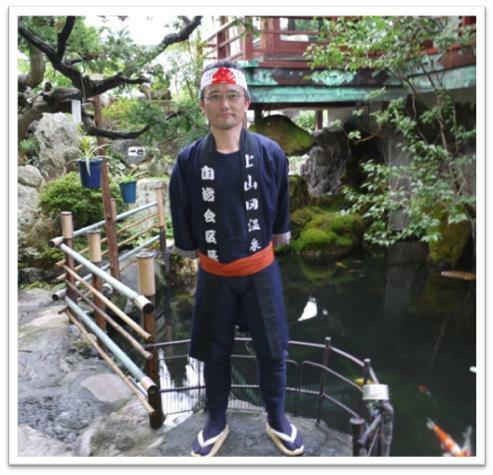 Saitoh-san, the proprietor of clothing shop "Beni-ya" in Onsen Town Togura-Kamiyamada, will gladly take the time to explain the various elements of 'wafuku' and even let guests try some on. Participants of the tutorial are then welcome to get their picture taken in Beni-ya's impeccably well-kept garden and/or their upper-floor traditional "Japan Room". Closed Sundays, Jan 1st and 2nd. Tenugui towels and other accessories also available for purchase. From Togura Station(Shinano Railway), Walk out to Route 18 ('Togura Station' signal) and turn left. Walk south 250m to the next light ('Togura') and turn right on to Route 55. Continue for 900m crossing the bridge. At the "T", turn left and follow Route 77 for 1km and Beni-Ya will be on the right. From Sakaki IC, Take Route 91 down 1.4km to Route 18 and turn right. Proceed north 5.5km to Route 498 ('Togurakamiyamadaonsen' signal) and turn left. Cross bridge and at the Kamiyamada Bunka Kaikan signal (1km), turn right on to Chuo Dori Street. Beni-ya will be on the left in 190m. Togura-Kamiyamada Onsen Geisha Show : 30-Minute Interactive Geisha Performance.